The XP Series are innovative systems that meet stringent explosion proof requirements. The XP not only is Heavy-Duty, it has an integrated camera and lens module with configurable features, a high resolution day/night and a 12x zoom lens. 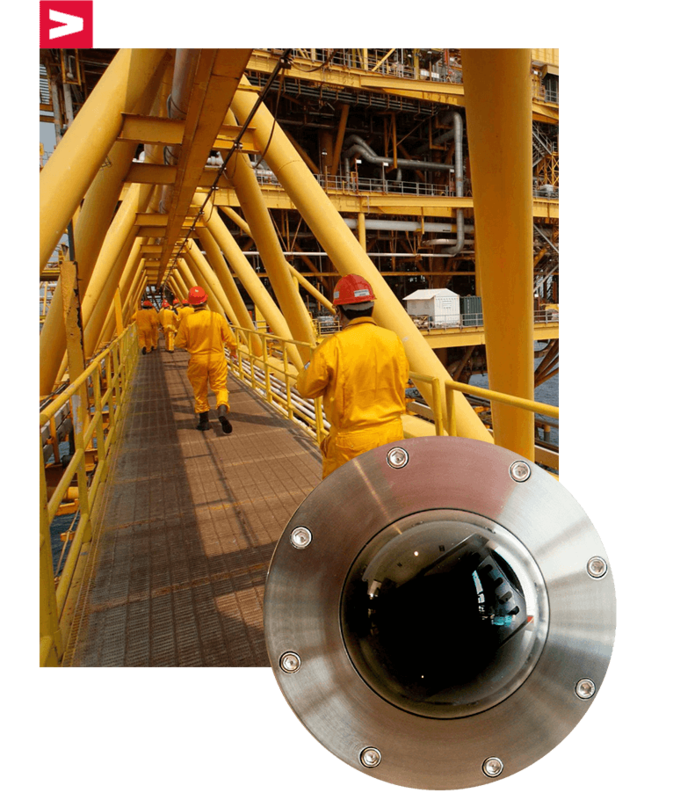 The stainless steel construction makes ideal for all kinds of environmental conditions including marine applications. The system has an absolute operating temperature range of –40° to 140°F (–40° to 60°C). This system is capable of 360 degrees of continuous pan rotation. The tilt range allows for horizontal viewing of –180 to +180 degrees. There are 80 preset positions with a preset accuracy of ±0.1 degree. The systems are available with an input voltage of 24 VAC all units also include three auxiliary output relays that can be configured for a variety of uses. We guarantee the success of your company with the inclusion and quality of our products in integral projects. Electropolished Stainless Steel Construction Heavy-Duty. Max. Resolution 2 Megapixels (1080P-25/30 fps). DWDR, Day/Night(ICR),DNR(2D&3D), Auto Iris, Auto focus, AWB,AGC,BLC. Max 300°/s PanSspeed, 360° Continuous Pan Rotation. Variable Speed Pan: 0.1° to 40°/second with Proportional Pan. Tilt Range of +180° to –180° from Horizontal. Up to 255 presets, 5 auto scan, 8 tour, 5 pattern. 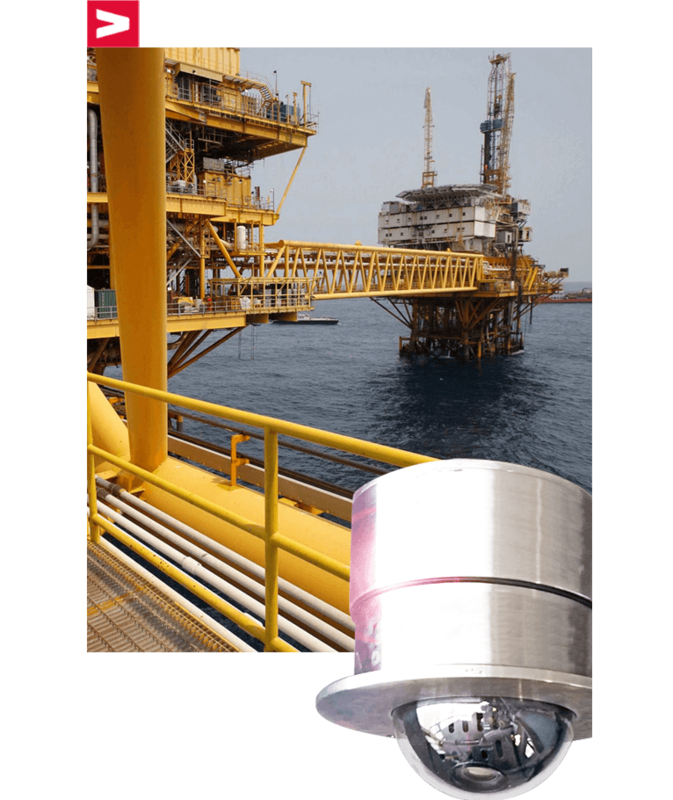 Support Intelligent 3D Positioning With DH-SD Protocol. IP66, IK10 (Optional), Multilingual On-Screen Menus. Long Distance Real -Time Transmission. UL/cUL Listed.UL/cUL Hazardous Locations Listed per NEC Division and Zone. Class I, Divisions I and II, Groups A, B, C, and D.
Class II, Divisions I and II, Groups E, F, G, T5. Class I, Zone 1, AEx d IIC, Ex d IIC, T5. BR-Ex d IIC, T5, IP66. 0539 II 2 G Ex d IIC, T5. II 2 D Ex tD A21 IP66 T105°C. NEPSI-China, Ex d IIC, T5, Cert No. GYJ05584. 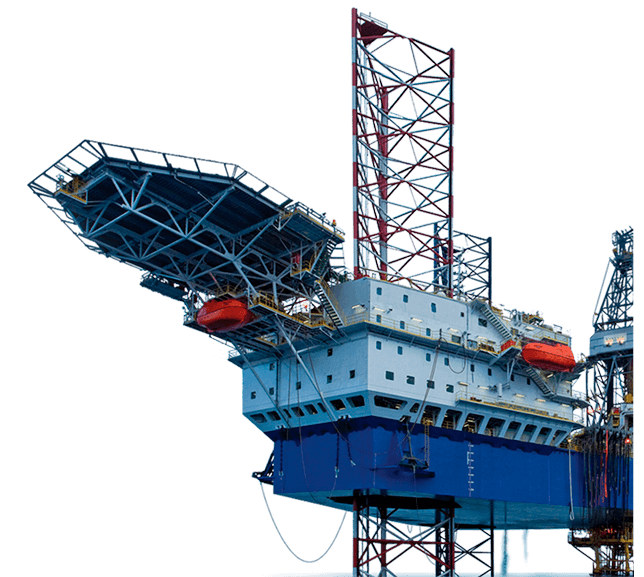 Marine, offshore, and industrial installations for use in environment. Image Sensor: 182.8” Exmor CMOS. Efective Pixels: 1944 (H) x 1092 (V), 2 Mpx. Electronic Shutter Speed: 1/1s~1/30,00s. Min. Video Output: 1-channel BNC HDCVI high definition video output/ CVBS standard definition video. Day / Night: Auto (ICR) / Color / B/W. Backlight Compensation: BLC /HLC / DWDR. Target Balance: Auto, ATW, Indoor, Outdoor, Manual. Gain Control: Auto / Manual. Noise Reduction: 2D / 3D. Privacy Masking: Up to 24 areas. Pan / Tilt Range: Pan:0°~360° endless; Tilt -2°~90°,auto ip 180°. Preset Speed: Pan: 300°/s; Tilt: 200°/s. PTZ Mode: 5 Pattern, 8 Tour, 5 Auto Scan, Auto Pan. Speed Setup: Human-oriented focal length / speed adaptation. Auto restore to previous PTZ and lens status after power failure. Power up Action: Auto restore to previous PTZ and lens status after power failure. Protocol: DH-SD, Pelco-P/D.) Auto recognition) Idle Montion: Activate Preset / Scan / Tour / Pattern if there is no command in the specied period. Alarm: 2/1 Channel / Out. Power Supply: AC24V /1.5A. (±10%). Power Consumption: 10W,19W. (Heater on). Working Evironment: -40oC~60oC / less than 90% RH. We guarantee your safety and that of your industry with 19 years of experience in critical missions with successful results in America, Europe and the Middle East..